Why Hire a BMW Z3 Roadster? 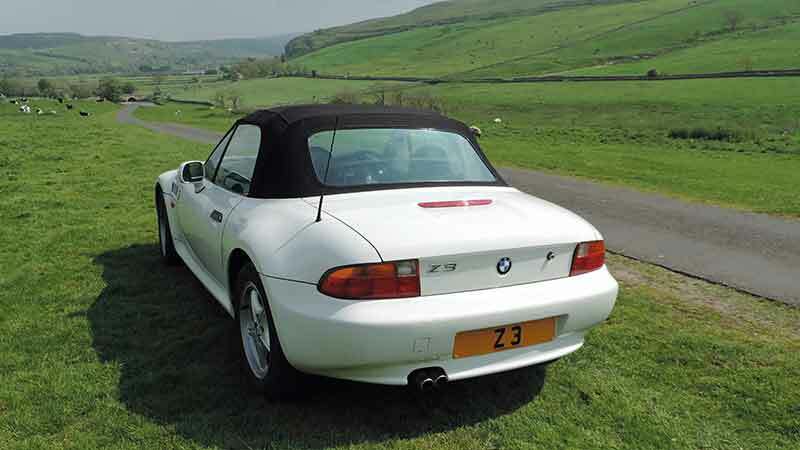 Blend this classic, thoroughbred BMW Z3 with beautiful Yorkshire countryside for sheer driving pleasure. You’ll enjoy every route. 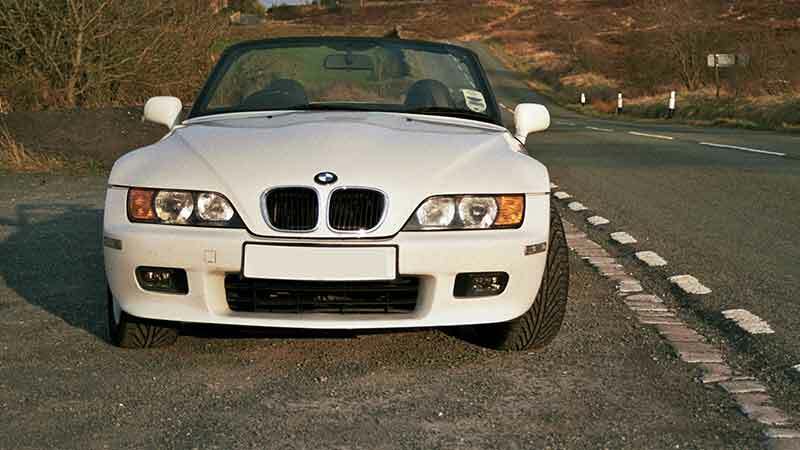 Our BMW Z3 Roadster has the muscular 2.8 litre engine giving powerful, elegant and effortless drive. 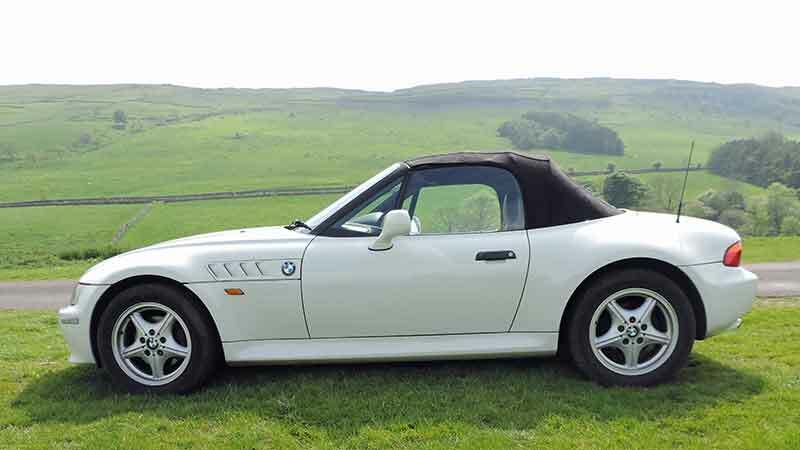 Why not hire a BMW Z3 open topped two seater sports car as an alternative to an MGB hire? Driving the Z3 is surprisingly reminiscent of driving an MGB, except it has much better performance and refinement. It’s sporty, fun, and fast. 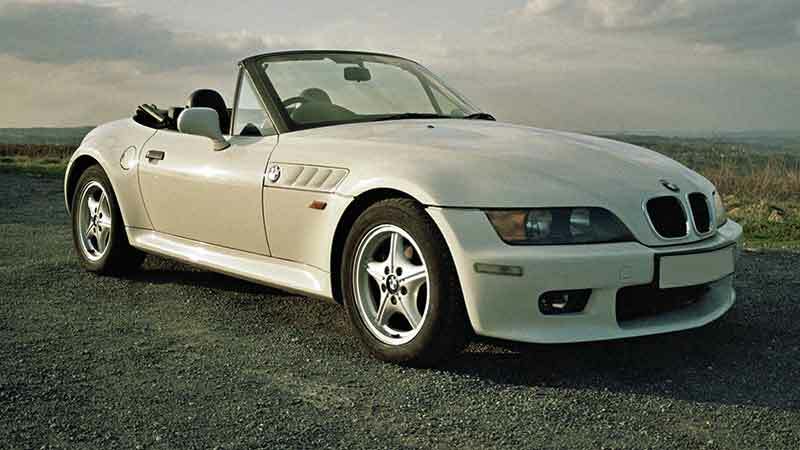 Licensed to thrill, a BMW Z3 Roadster was driven by James Bond in ‘Golden Eye’. As a wedding sports car in Yorkshire this Alpine white retro car oozes class. It’s perfect for the groom. This 1997 BMW Z3 offers the perfect combination of power, control and comfort. The classic 2.8 litre BMW engine has flawlessly smooth power delivery and amazing low end torque. It benefits from power steering, ABS brakes, electronic traction control and power hood. Ours is an automatic with an optional sports mode. Driving in automatic mode is great for motorways and A roads as it exaggerates the effortless feel. 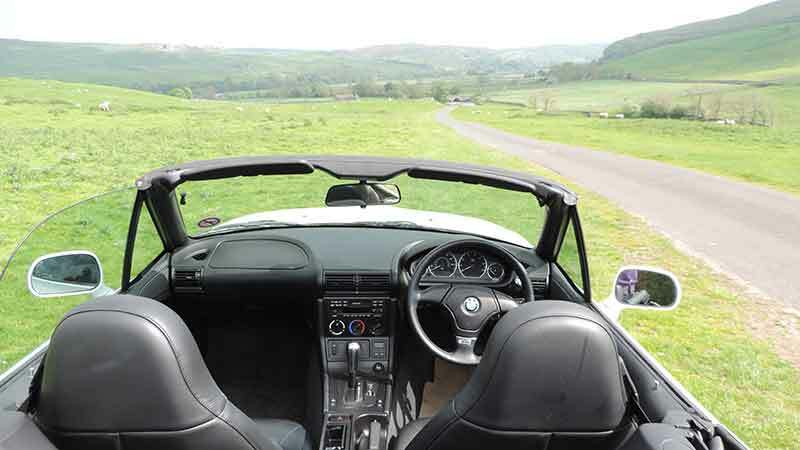 But if you want the BMW to have a more sporty drive, on country lanes in the Yorkshire Dales for instance, then override the automatic and select the gears yourself, or just switch into sports mode. The Z3 came in 2.8 litre 6 cylinder and 1.9 litre 4 cylinder versions. Ours is the 2.8 litre straight six version, producing 192 bhp. 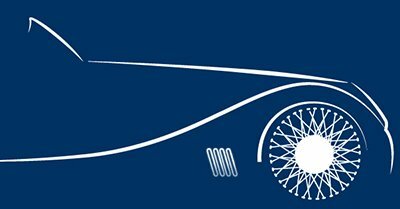 Having a six cylinder engine rather than four cylinder, it drives so much better than the less acclaimed 1.9 litre sports car. The MGB was designed as a relatively inexpensive fun sports car. The BMW Z3 is more of a prestige car hire. But with its exhilarating, effortless performance it gives you at least as much, if not more fun. Some of the photographs of our Z3 were taken by Matt Nichols of Classic Cars Driven who has kindly given his permission for us to use them on our website. Top speed 138mph – 0-60 in 7.0 secs. Automatic gearbox, with sports mode and manual override. Electronic traction control . Average size boot big enough for a medium suitcase and small bag.